Description: Group of nine firefighters of Chemical Company No. 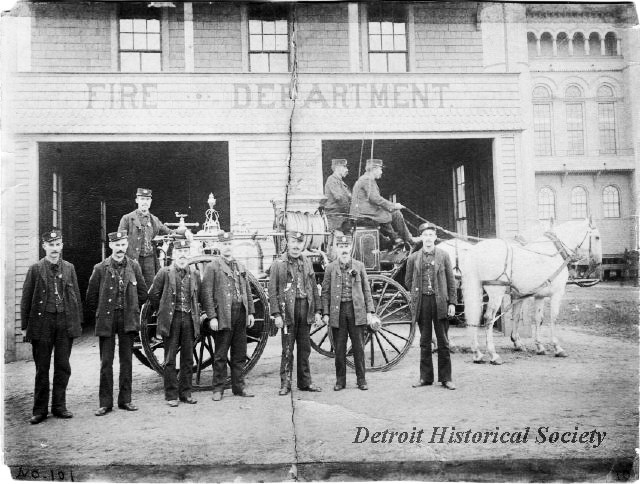 6 posing with their horse-drawn fire engine in front of their firehouse. Notes with photo indicate firehouse located at Elmwood and Fort, which would indicate Engine 7. Above photo does not match firehouse for Engine 7.